Icebox size 7 lb. 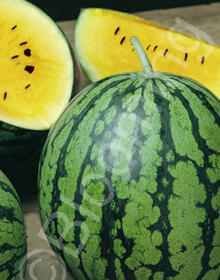 watermelons w/ sweet yellow flesh. Early.